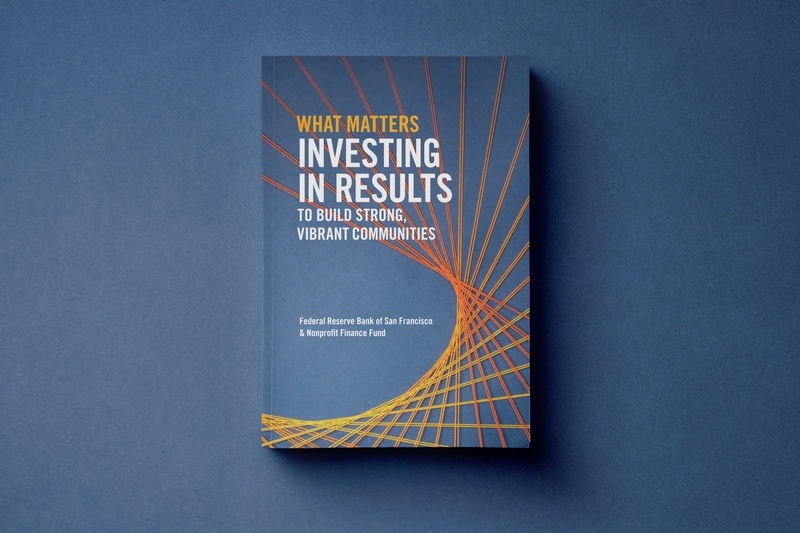 What Matters: Investing in Results to Build Strong, Vibrant Communities is a joint project by the Federal Reserve Bank of San Francisco and Nonprofit Finance Fund that features essays exploring the possibilities of an outcomes-based world. 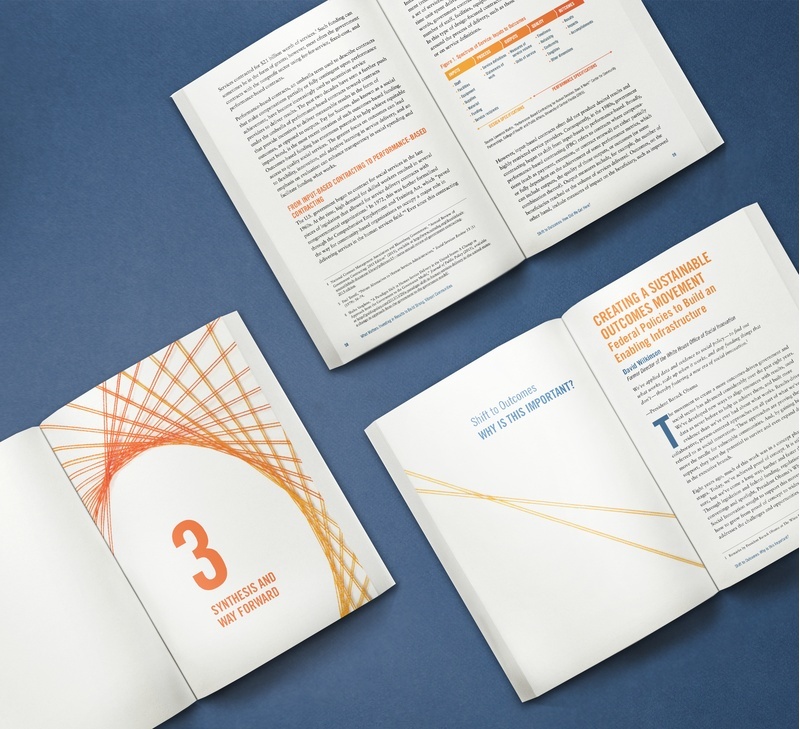 The publication is the fourth in a series of book designs by C&G Partners for the Federal Reserve Bank of San Francisco. The design challenge was transforming the book’s theoretical investment concepts into descriptive visual imagery. We decided that string art, created through craft-based techniques, would emphasize the book’s human-centered approach and tie back to the first edition that also depicted string art on the cover. Using a branded color palette of blues and oranges, the cover illustrates how straight lines can be woven into a curve. The design process echoes the book's focus on how outcome-based collaboration—instead of an output-based approach—results in positive, long-term impact. Our string metaphor reinforces the motif of collaboration— that working toward a common goal produces something greater than the sum of its parts. At the heart of this book design is the idea that the ‘insignificant’ straight lines when focused on a shared outcome can lead to something coordinated and complete. The cover image was developed through an iterative process, experimenting with various mathematical compositions of string weaving to arrive at the best layout. 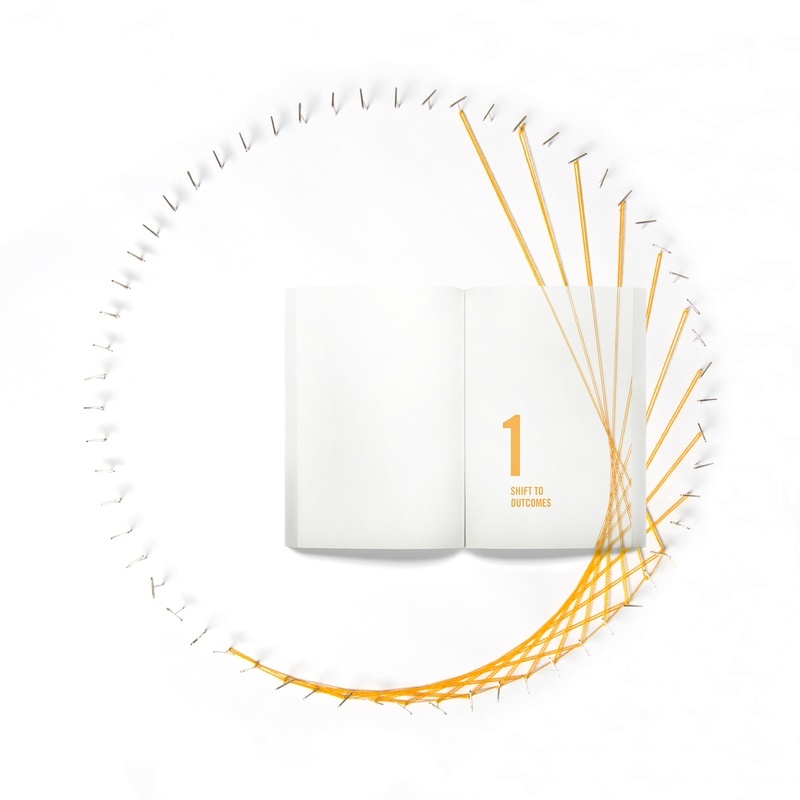 This building process is further explored in the chapter dividers of the book, each section featuring a different stage of the string weaving process.